IQS Directory provides a detailed list of level transmitter manufacturers and suppliers. Find level transmitter companies that can design, engineer, and manufacture level transmitters to your specifications. Peruse our website to review and discover top level transmitter manufacturers with roll over ads and complete product descriptions. Connect with the level transmitter companies through our hassle-free and efficient request for quote form. You are provided company profiles, website links, locations, phone numbers, product videos, and product information. Read reviews and stay informed with product new articles. Whether you are looking for manufacturers of water level transmitters, sanitary flanged diaphragm transmitters, electronic level transmitters of every type, IQS is the premier source for you. When it comes to level transmitters you can depend on, contact the Siemens Process Instrumentation. This trusted company has been serving customers for decades, providing superior quality products and prices you can afford. For on-time delivery and excellent service call today, their friendly and experienced staff is ready to find the perfect solution for our next project. Our robust solutions are made with finesse and only utilize the best resources when manufacturing our level transmitters. Our objective is to provide the best products and your satisfaction is paramount. We promise to be accountable with you and your business is important to us. Our teams are energetic and ready to handle your orders. Give us a call today to receive our unparalleled products! Since 1980, KOBOLD has been a leader in the research, development and manufacture of high quality pressure transducers, gauges, sensors and transmitters. Our reliable products obtain accurate measurements for flow, pressure, level and temperature readings. Though our line is broad, some of our products include rotating vane flowmeters, digital pressure gauges, level transmitters and much more. 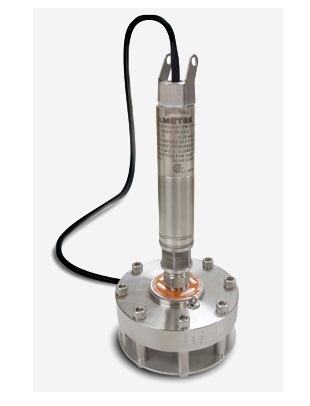 Level transmitters are devices that measure the level of a solid, liquid or slurry within a container and then convert the information into a comprehensible form. Transmitters are also called sensors or transducers; they both convert signals into a reading of pressure or temperature. There are two main ways level transmitters receive information: by making point level or continuous level readings. Of the two types of information receiving styles employed by level transmitters, point level transmitters sense when a substance has reached a predetermined level, usually providing an alarm or electrical charge that shuts off the feed. Continuous level transmitters are made up of multiple sensors that provide a constant reading of the level of the substance. These transmitters are small and usually encased in stainless steel for protection because level transmitters are built to withstand a wide range of temperatures, pressures, substances and conditions in the specified space. This space can be a vat, tank, silo or other container used for mixing, processing or other operations. The transmitters perform an important task because they take measurements where people cannot, like in an enclosed tank or a vat of chemicals with a mixing blade. Knowing how much material is in a container is valuable across many industries because over or under-filling a specified space can lead to hazardous conditions as well as loss of product and time. 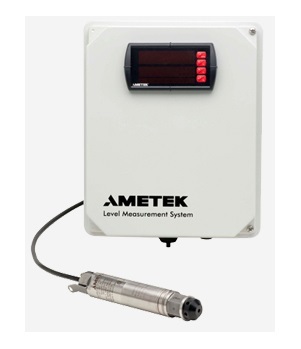 Level transmitters use many different methods and technologies to measure the levels of substances. These sensors are unaffected by changes in conductivity, temperature, pressure, humidity or moisture content as well as dust and static-charge buildup. There are five main kinds: non-contacting radar, guided wave radar, ultrasonic, differential pressure and vibrating fork. Non-contacting radar transmitters typically are installed on top of a container, so the waves are sent downward into the enclosure. The transmitter uses the returning echoes to determine how much substance is in the tank. Guided wave radar transmitters are able to provide both level and interface measurements because the advanced technology can differentiate between different layers of fluids, such as oil and water. Ultrasonic level transmitters have non-contacting sensors housed in watertight enclosures. They use ultrasonic waves to gather information. Differential pressure level transmitters take multiple readings in different places in the container and compare the readings to determine the level. Vibrating fork transmitters are used with fine powders and granular solids. Multiple tines are lowered down toward the powder and stop when they reach the top of it. They vibrate to minimize material buildup between the probes. Other styles include optical level transmitters, air bubblers and rotation paddle level transmitters.